Randy spoke to me about two projects he was working on and one specifically, 3/13, that had not yet taken shape, but he had a clear and concise picture of what he had in mind; not only for the music, but also the image and feel, the artwork, the framework for how the band would evolve. Then the reality of life hit when Randy was rushed to the hospital a few months later with a life-threatening throat infection. http://hollywoodmusicmagazine.com/whoshot/albumreviews/313-return-of-the-shredd/ However, that did not blur his vision, au contraire; it perhaps gave him greater focus. The experience; while harrowing, also underlined that life is short, precious and brought to light the meaning of the Latin phrase carpe diem. He continued to move forward and not only achieved everything he told me he was going to do with 3/13, but far beyond that. When the debut album of 3/13, titled “Full Tilt” was completed and released in January 2011, it was remarkable how before you even put the CD in and heard the tunes; you were drawn in. The packaging and detail, the inserts, even the CD itself; which looked like the old 45’s from Casablanca Records gave evidence that what you were about to hear was just as the album title described…FULL TILT rock n roll!! Iron Maiden had Eddie and Rob Zombie had his own lady, Sherri Moon, featured in his work. 3/13 has a combination in Queen B, the band’s model featured on the hood of a Camaro in the artwork for the CD and the smoking hot girl featured in the inserts; a role fulfilled by Randy’s lovely wife Bridget. Although, Weitzel grew up greatly influenced by the guitar rock of the late ‘70’s and early ‘80’s, what boggled my mind is how the hell was he able to capture that sound with complete originality and make it his own. I suppose much of that came from the stories behind the songs. “Skool Daze” is the fourth song on the CD, but the first one written and that song alone carries the banner for the feel of the entire album. Anyone that knows Randy, knows the influence of KISS and Ace Frehley in his life and by self-admission, the guitar riffs on “Skool Daze” are directly attributed to that influence. Lyrically he harkened back to his youth, trying to get into a band and spending his time in school reading Hit Parader and Circus Magazine (for those too young…those music rags were the ish!) and his fantasy of being one of the musicians he saw on those pages, as opposed to a slave to the pages of text books. Randy Weitzel is a brilliant guitarist and I, along with his musical peers and fans, have often sat in amazement at his seemingly effortless axe work. 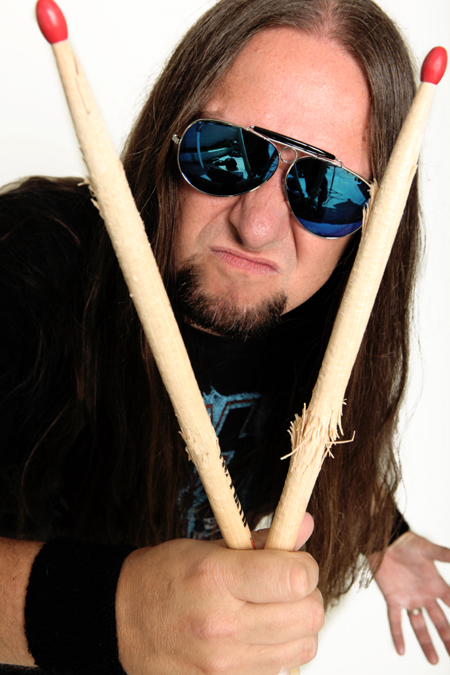 Though all the tunes, Weitzel pays homage to all those that came before him from Ace and Angus to Randy Rhodes, Cliff Burton and Dimebag. 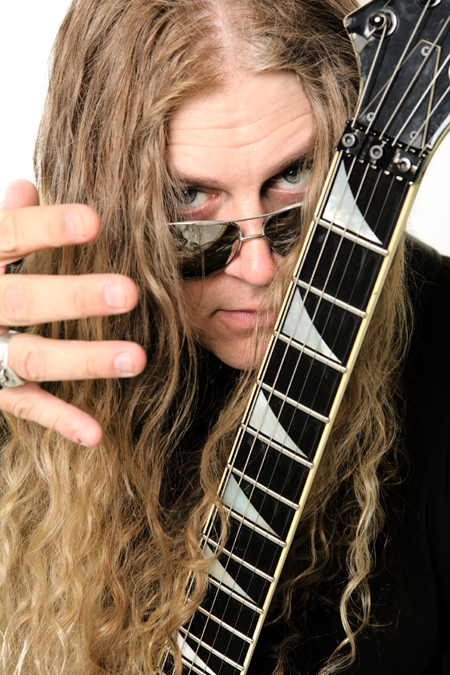 He specifically gives tribute to his fallen heroes, including Randy, Cliff and Dime in the song “Living in Stereo” a song that not only honors the rock Gods, but also sums up the essence of the record. 3/13 isn’t a project that is about self-glory, it is about showing respect and honor to the music that shaped Weitzel, and millions of others lives and those musicians that played a role in the soundtrack to our life. The whole record isn’t about just partying it up and living life without care, there are messages and inspirations about chasing your dreams and not living in the past, most of which is derived from Randy’s own experiences and battles in life, including conquering his own demons. 3/13 is a revolving door of musicians; by design. Chris Howorth of In This Moment, co-produced the record but also lends his guitar excellence in the lead for “The Dark of Yesterday,” a song that reflects on the transition of Randy’s life, the inspiration both personally and musically, he hopes to be for others and the power to change anything lies within each of us. Full Tilt was recorded with Weitzel on guitar, Hector Gonzalez (Flatline, Cheva) on bass and Jimmy Schultz (Cheva, New Eden, Cerebellion, Soulbleed) on drums, but there are guest musicians on different tracks such as Howorth playing guitar and Travis Johnson (In This Moment, American Massacre, Flatline) on bass. This trend shall continue even in live performance. 3/13 is the opener for Adler’s Appetite (Steven Adler of GNR project) at the Galaxy Theater in Santa Ana, May 6th. Weitzel will be joined on stage by Schultz and his Soulbleed band mates, Steve Marshall and Elaina Bangma, fresh off the release of their self-titled new album. 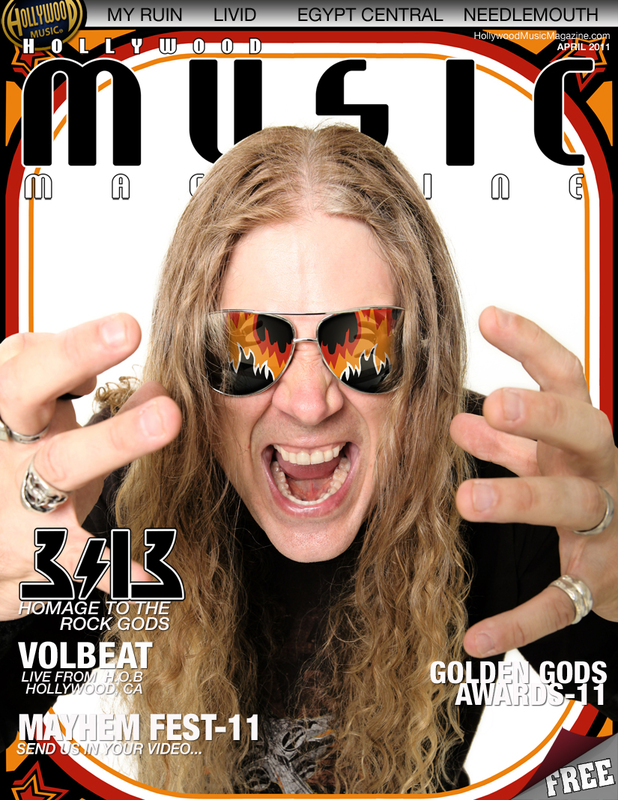 Having dreams, vision and aspirations is not new, but to achieve exactly what you set out to do, overcoming major obstacles on the way and come up with a finished product like 3/13; that honors the metal gods in such a unique way is a tribute to the very message Weitzel delivers in his music. Chase your dreams, as you are the only one with the power and ability to make them your reality. You will have perils in your journey, but still the accountability is with you. Make your own way.